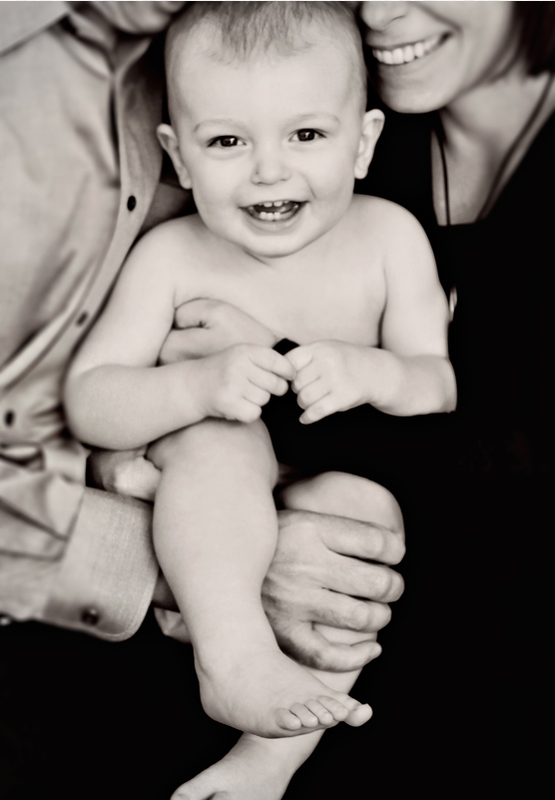 In Part 2 of this workshop, Tamara discusses the dynamics of photographing families. She also talks about lighting, both studio and outdoor. How does someone go from amateur to creating dynamic pictures? Both education and practice. Education gives you the background knowledge. Practice gives you experience. What's in her camera bag? 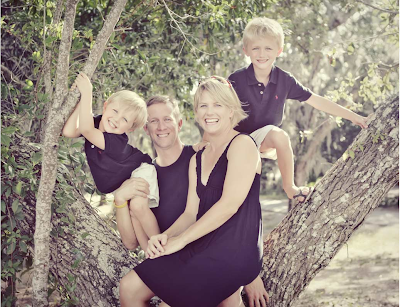 Family portraits are technically more difficult since you have to see where each person in relation to others. A necessary skill in dealing with family dynamics is how to get everyone to "buy in" and be involved in the photo shoot process. Tamara says that sometimes it is helpful to talk to the kids and get them interested. Try to talk to the more resistant members first and show them that you can do something different and that you value their input. Tamara adjusts lighting for different skin tones, using reflectors for darker tones to even out exposure. With most lighting, however, expose for the middle tones and the exposure will turn out fine. For family members of different height: bring them down to the same level. But you do what some variance in height for interest. Just keep them on the same plane (i.e. no one 5 feet behind the rest). Having the family conversation: Tamara emphasizes that the photo shoot is no time for discipline, that she wants to get the authentic shots, so if kids aren't behaving, parents should let it go. She also talks to parents about letting her and kids have the shoot without stepping in and being a distraction unless she specifically asks for their help. She really emphasizes this point to parents, not for them to step in and direct. After this conversation, Tamara says it is very unlikely that parents will interfere. To get some nice lighting indoors, Tamara positions the family in front of an open front door, so all of the natural daylight comes in. She also uses large wall of windows and and the back door. Tamara regularly shoots pictures in bathrooms because they typically have white walls and windows, so there is a lot of light. She also has family members interact with each other to get candids. Tamara does not instruct people to "smile" because she doesn't want their pre-conditioned response. In low lighting she can use 2500 ISO, but if your camera is not as high-end, then she suggests getting more light with a fill light. If you're using a really wide-angle lens, get everyone into the middle or else the people on the edges will look distorted. Tamara also only uses a single focus point, and she focuses on the eyes. If she moves camera away from her face, she uses enough MP to crop if her composition is not exact. Sometimes she will use two cameras at the same time to avoid changing lenses. With children, because they are always moving, Tamara aims for a nice even lighting that still gives contour and shape. You will get natural outdoor lighting on location. Tamara still thinks about the 4 types of lighting but the sources are different. For example, the main light is the sun. If the sun is on the right side of the subject and the left side is in the shadows, she uses a reflector to bounce the light on the left side to fill in the shadow. If sun is directly overhead, you'll get shadows on the face, so you need to figure out how the reflector will fill in the shadows. If subject is backlit, she uses a large reflector to bounce the light onto the front of the subject. So the background is brightly lit but the subject is correctly exposed. Tamara either uses partial metering (when focusing on specific subjects) or evaluative metering (when she wants the entire background correctly exposed). She also uses auto white balance so she gets a consistent look when she goes into post-processing. Don't forget that DISTANCE also affects how the photos turn out, not just ISO, aperture, and speed. 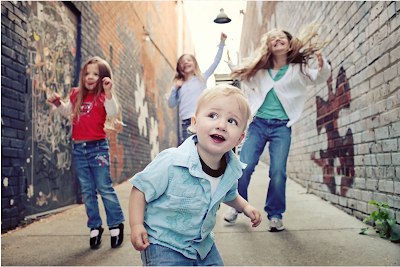 In Part 3, Tamara talks about the business of kids photography and image critiquing.